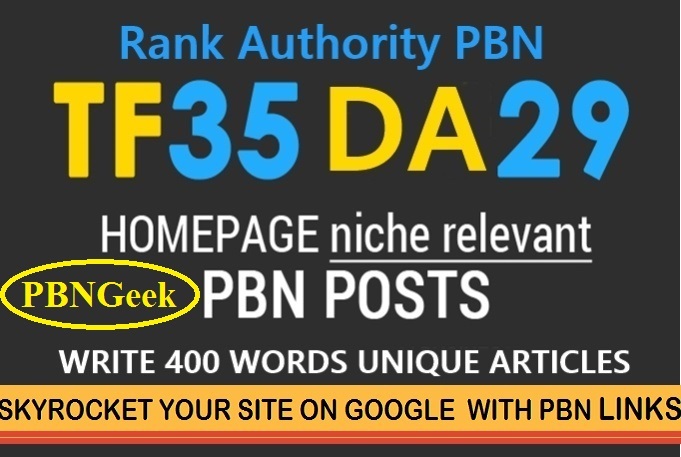 I will manually build 50 UNIQUE HOMEPAGE PBN backlinks on Extremely High Trust Flow & Citation Flow and Domain Authority & Page Authority Domains. NO, this is the cost For 2 Months. Nope, It's Not Possible on Posts. Do You Provide Discounts to Returning Buyers? Xtreme 35+TF/CF [ 50 PBN Homepage Posts ] is ranked 5 out of 5. Based on 4 user reviews.